Income investors can look far and wide for yields in today’s environment. But unless they’re venturing perilously far out on the yield curve or venturing into corporate debt, they’re unlikely to find anything too rewarding. Thankfully, some of the best dividend stocks in the world are sitting right under our noses, just waiting to be bought. But if there’s one thing better (and harder to find) than a high dividend, it’s a consistent dividend. That 14% yield is great until it disappears and the stock takes a 50% haircut. You’ll have none of that with these seven best-in-class dividend stocks — they’ve been cutting shareholders checks for more than a century. Fresh off a blowout first quarter in which Chevron Corporation (NYSE:CVX) absolutely demolished both revenue and EPS estimates, CVX is still a best-in-class dividend stock more than 100 years after inking that first quarterly paycheck. With oil prices now back around $60 a barrel, “black gold” is now flirting with 2015 highs. The energy sector was everyone’s favorite contrarian play coming into 2015, and it seems as if that thesis is finally playing out. Of course, Chevron’s valuation alone — its price-to-earnings ratio is a humble 10.7 — should be convincing enough to get bulls excited. If for whatever reason that doesn’t whet your appetite, the fact that CVX has been cutting checks for more than a century and raising its dividend for 29 consecutive years easily makes CVX one of the best dividend stocks to buy today. The Coca-Cola Co (NYSE:KO), like Chevron, could also be considered a contrarian investment, albeit for different reasons. With Chevron, a strong dollar, an oversupply of oil and a fracture in OPEC’s united front are each pressuring oil prices. With Coca-Cola, it’s not a supply-side problem. Demand is falling off. There’s a serious shift in consumer demand away from soda — a shift that’s amounted to 10 straight years of falling North American soda sales, and toward products with a more organic bent and natural ingredients. That’s a longer, more disturbing trend than a one-year decline in oil prices. Of course, any stock that’s a cornerstone of Warren Buffett’s portfolio can’t be too fraught with risk, and KO stock certainly isn’t. In fact, it has been growing its dividend for 52 consecutive years, so I wouldn’t worry about that going away anytime soon. Coca-Cola isn’t blind to this shift in consumer tastes. Energy drinks are the only carbonated beverage category showing any meaningful degree of growth, and Coca-Cola hopes to leverage this through a 17% stake in Monster Beverage Corp (NASDAQ:MNST), fueling speculation that KO may eventually just buy MNST outright. Another household name that’s been paying dividends since the 19th century, Procter & Gamble Co (NYSE:PG) is a stereotypical Dividend Aristocrat. The consumer goods giant’s biggest obstacle moving forward is probably something entirely out of its control: foreign exchange fluctuations. As a truly diversified multinational conglomerate, don’t expect PG stock to bring any windfall profits as long as the dollar retains its strength. On the flip side, the greenback recently hit a two-month low; if that trend ends up having legs, PG stock owners will be grateful. Of the seven dividend stocks on this elite list, Consolidated Edison, Inc. (NYSE:ED) pays the single highest yield, dishing out 4.3% annually. It’s also the second-longest-tenured dividend payer on the list — you’d have to travel back to the Chester A. Arthur presidency to find the bleak days that ED stock wasn’t cutting quarterly dividend checks on the reg. With 40 straight years of raising its dividend on top of that, this electric utility company is about as stable as they get. What, honestly, can you get wrong if you’re a regulated utility company responsible for lighting up the Big Apple? I guess if New York goes, then so does Consolidated Edison … but if New York goes, there will be bigger problems than the stock market at hand. Consumer goods powerhouse Colgate-Palmolive Company (NYSE:CL) is no slouch when it comes to raising dividends either: Its 51-year streak of boosting its dividend is second only to Coca-Cola. Though a “Steady Eddie” from an income investor’s perspective, CL stock hasn’t been able to keep up with the S&P in the last one- and five-year periods. Over the last year, Colgate shares are up just 1% vs. 12% for the benchmark index; over the last five, CL trails the S&P’s 78% return by a full 17 percentage points. As with Procter & Gamble, much of this recent weakness comes from the strength of the dollar, so long-term investors can sleep comfortably knowing that reversion to the mean should eventually mean a weaker dollar that boosts results. PPG Industries, Inc. (NYSE:PPG) is one of the more unusual companies on this list, if simply for the fact that it’s not a world-famous company with a household name. That may be true, but devout income investors know PPG stock well as one of the most dependable dividend stocks in the entire market. While its 1.2% yield might not be anything to write home about, its 42-year record of dividend hikes ain’t no joke. This paint and specialty materials producer has weathered recession, war and times of general bleakness over the last 100-plus years to prove that it can withstand pretty much anything. In fact, it’s stock price is getting so lofty that PPG stock is undergoing a 2-for-1 split, effective June 12 (shares are currently around $225 a pop). Last but not least, Exxon Mobil Corporation (NYSE:XOM) goes down as one of the best dividend stocks on Wall Street today. After all, it literally has the longest-tenured dividend payment on today’s list; you can’t ask for much more than 133 straight years of dividends (and it has raised the payout annually for the last 32). Sure oil prices have been on the downturn for the last year, but they’ve started to rebound a bit of late. Part of that’s due to the pullback in the dollar, which could be one of Exxon’s biggest tailwinds going forward. Even when oil prices are low, XOM, like Chevron, has both upstream and downstream operations, helping it to make money in its refinery operations while it loses money in drilling. For the disciplined long-term investor, both XOM and CVX are stocks I’d strongly consider setting up a dividend reinvestment plan, or DRIP, with, only to promptly forget about them. Check back in 30 years, and you probably won’t be disappointed with what you accumulated. 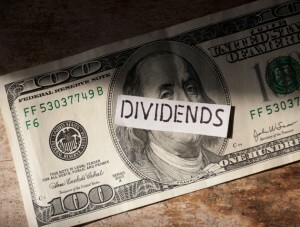 Article printed from InvestorPlace Media, https://investorplace.com/2015/05/7-best-dividend-stocks-100-years-dividends-cvx-ppg-pg-cl-xom-ko-ed/.